Commissioning Support Units and Shared Services providers must offer their NHS clients high quality and cost-effective solutions at many different levels of scale. Critical to successful clinical commissioning and remaining competitive is the pursuit for continual improvement of services and the drive for greater efficiencies. NHS Central Eastern CSU identified mobile working as an area of improvement; currently, it was proving costly and unpopular with clients. The CSU wanted to review its mobile working solution to ensure that it could continue to offer best-value solutions. NHS Central Eastern CSU (now part of NEL CSU) provided information management and technology (IM&T) services to major NHS organisations within Essex. Employing more than 150 highly qualified staff and serving 16,000 users, NHS Central Eastern CSU IM&T provided its customers with business critical IM&T solutions including: IT services, project management, training, and information management, from its corporate offices in Witham, Basildon, Chelmsford, Harlow, and Colchester. The BT N3 remote working service was proving problematic in terms of costs, ease of use, support, and delivery of the service to its users. ITHealth introduced Secure-IT, a replacement remote working solution, which cut costs per user by 50% and increased user productivity. Within the organisation there were 2,000 mobile clinicians with the BT N3 service available to them. These clinicians required secure remote access as an essential business tool allowing them to securely access patient information on the Trust networks whilst working on the move. The BT N3 service had proven to be unpopular with mobile workers, mainly District Nurses and Health Visitors, because it was difficult to use; clinicians needed 6 different log-ons before accessing their main application, SystmOne TPP. The BT N3 service provided no integration with other systems, was expensive and, as support was only available 9-5, it did not allow NHS Central Eastern CSU control of service delivery to their users. Using secure remote access technology is intrinsic to the effectiveness of our mobile clinicians, who are mainly District Nurses and Health Visitors. NHS Central Eastern CSU investigated the secure remote access solutions available in the market and ran a full tender process to procure the right solution. The mobile working solution from ITHealth was chosen. It comprises Secure-IT software offering strong 2-factor authentication that enables Trust staff to securely access data from wherever they are working, using NHS smartcards, hard tokens, or ‘soft’ phone tokens as a means of authentication. 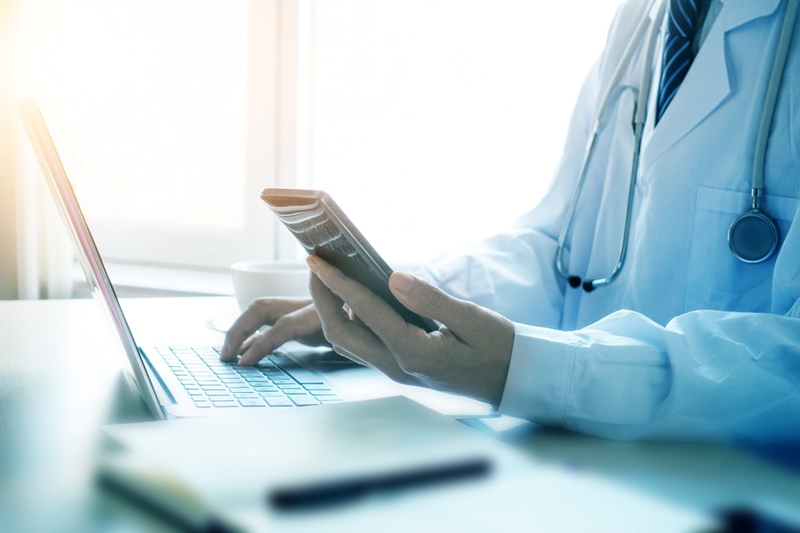 The ITHealth mobile working solution enables Trust staff to access both Trust and N3 applications and information, the internet, and email using a secure mobile VPN connection that safeguards confidentiality. This approach of providing access at the point of care enables ways of working that increase efficiency and can improve clinical outcomes. NHS Central Eastern CSU chose a typical ITHealth mobile working solution comprising Secure-IT 2-factor authentication software, a combination of hard tokens and NHS Smartcards as the means of authentication, combined with approved EAL4 appliances, with full failover capabilities, to provide firewall, VPN concentrator and intrusion detection, along with full installation, training and ongoing support from ITHealth. The solution was found to be easy to deploy, and to take advantage of, and upgrade, the existing Cisco infrastructure. The decision to award the tender to ITHealth was based upon both knowledge of the proposed solution (Secure-IT already had a presence in Essex) and knowledge of ITHealth as a supplier. ITHealth were already known to NHS Central Eastern CSU as a provider of service excellence having worked together on other IT security projects. Another reason ITHealth were chosen was that NHS Central Eastern CSU had a desire for more control over service delivery, and ITHealth had a great track record for delivering service; moreover, if there were outage problems then ITHealth had been seen to be reactive, communicative, and hard-working to provide a fix in a timely manner. Using the ITHealth mobile working solution allows our mobile clinicians maximum mobility and an easier way of working that suits their role and their patients. Immediate 50%+ cost reduction: Annual per user costs using hard tokens (the costliest option) reduced from £152.40 to £72.48, equating to a saving of approximately £800K over a 5-year period, for the existing 2,000 users. Choice of authentication methods: Mobile clinicians could use their existing NHS Smartcards, or the more traditional hard tokens, as a means of authentication to access SystmOne TPP. Much improved control of service delivery to give mobile workers true mobility in order to provide an excellent level of care. Emergency situations covered, e.g. extreme weather occurrences when remote access user numbers need to increase sharply for a short time period. Increased user productivity anticipated during Phase 2 of the project when Monitor and Single Sign-On integrate with the Secure-IT solution. The combined technologies will only further streamline and simplify the end user experience, a benefit Stuart Webster describes as “taking the pain out of mobile working”. I can recommend the Secure-IT solution from ITHealth. It is as comprehensive as we need it to be. It is competitively priced, simple to install, and its functionality and flexibility is way up there.